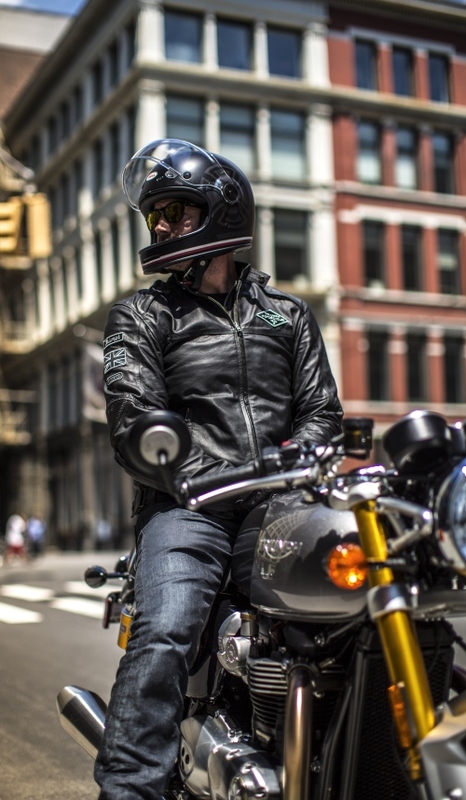 The Bonneville Thruxton returns the legendary café racer to its performance roots. 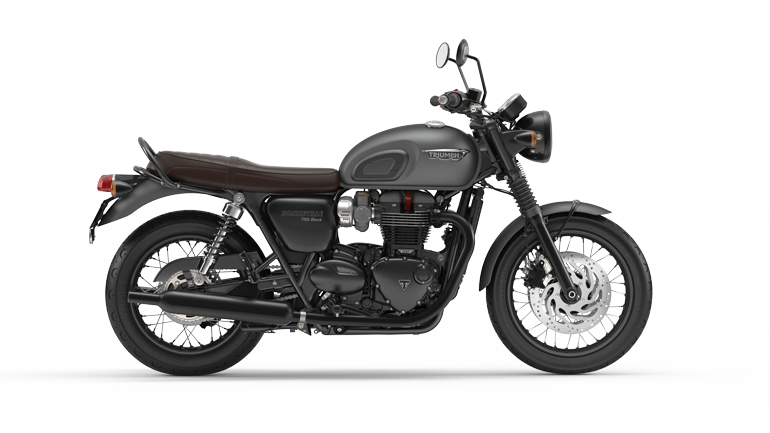 A unique Thruxton specification 1200cc engine powers this thrilling motorbike, with more power low down as well as across the whole rev range, and an amazing 62% more torque than the previous Thruxton. 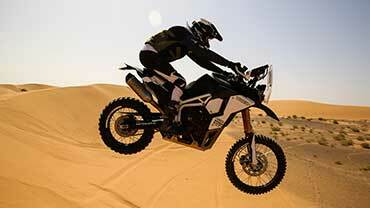 Ride with real poise. 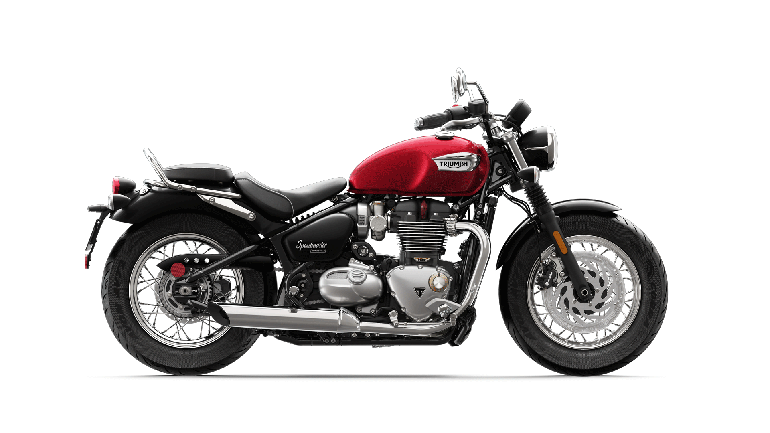 This is the beautifully striking and imposing evolution of the iconic Thruxton racer, now with more refined & crafted styling and a high quality finish & detailing. 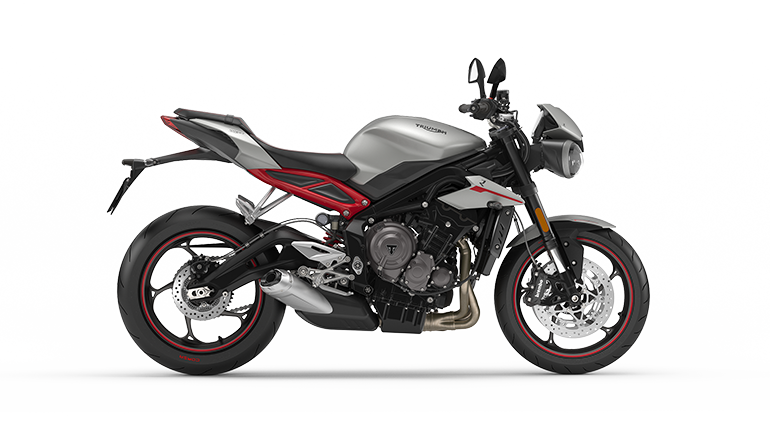 This is the café racer reborn. 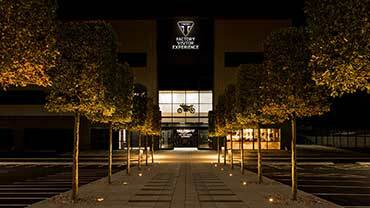 The Thruxton has always been a race winner and record breaker, inspiring a generation of café racers along the way. 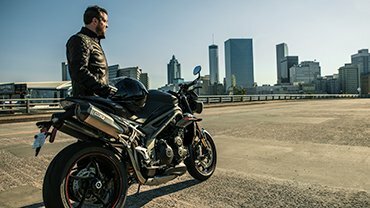 This high-spec motorcycle has a focused sporting attitude and real aggressive beauty. 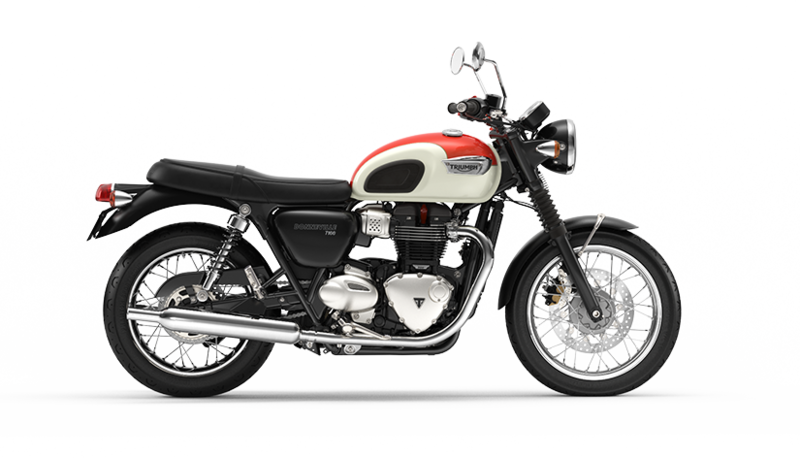 Designed to deliver the thrilling sound of a British racing twin, with a rich raw note to match the legendary Thruxton name. 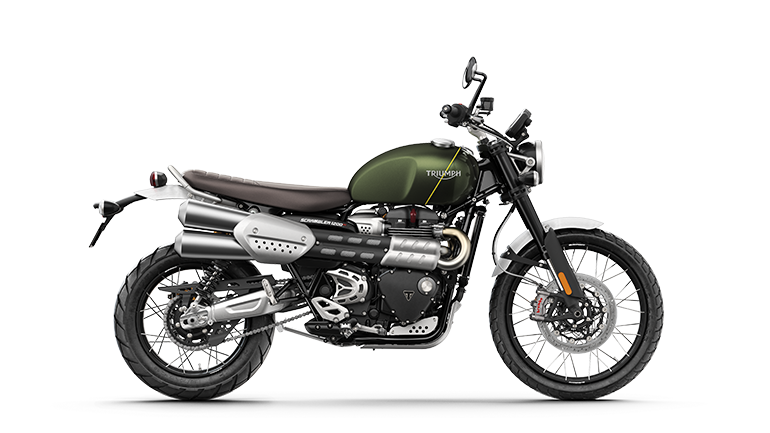 The 112Nm peak torque figure is 62% higher than the previous generation Thruxton engine, with more power across the whole rev range. 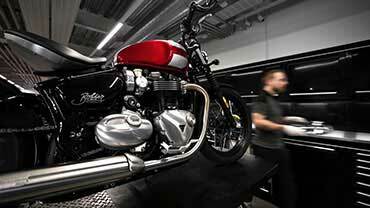 What’s a true café racer without your own personal touch? 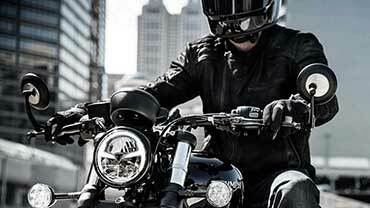 Choose from 160+ premium custom-inspired accessories. 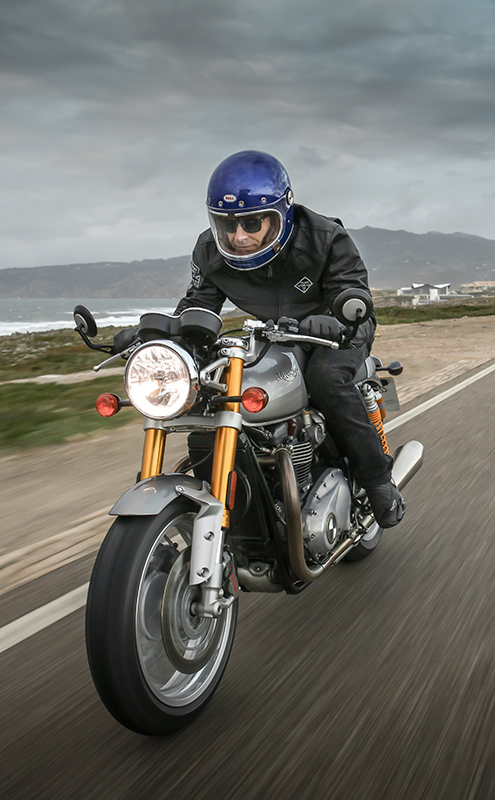 Thrilling power delivery across the entire rev range from the High Power Bonneville engine with unique Thruxton tune. 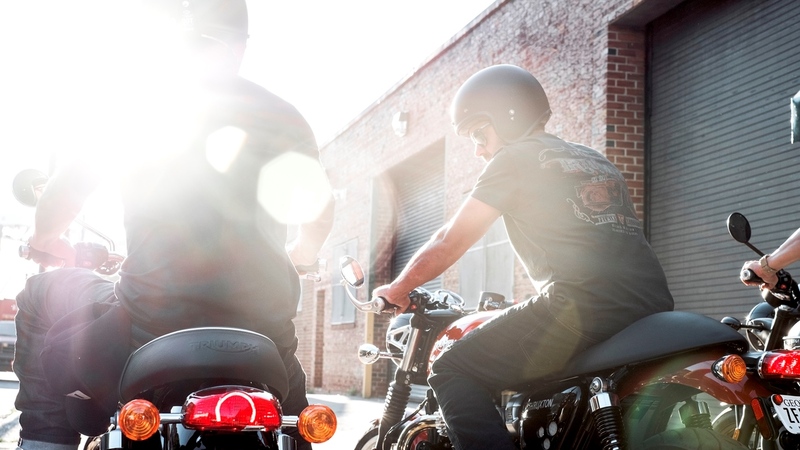 The contemporary safety standard, Triumph’s latest generation switchable anti-lock braking system brings the highest level of control to the Thruxton and Thruxton R, and is beautifully integrated with minimal visual impact. 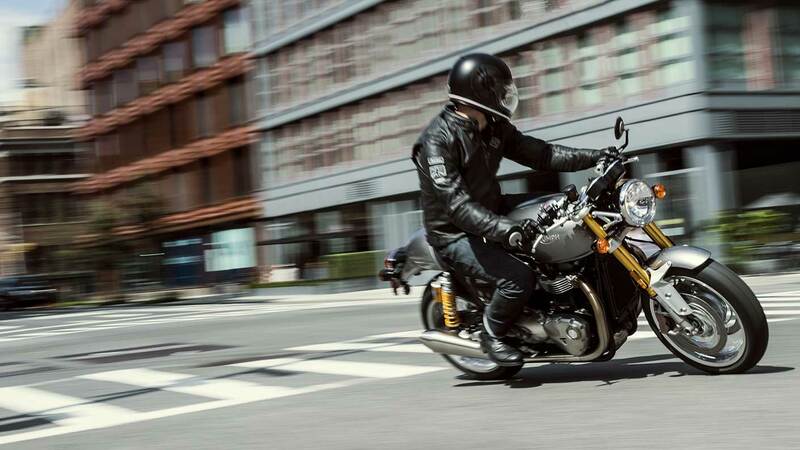 The electronic ride-by-wire system on the Thruxton and Thruxton R enhances throttle control, responsiveness, safety, and feel. 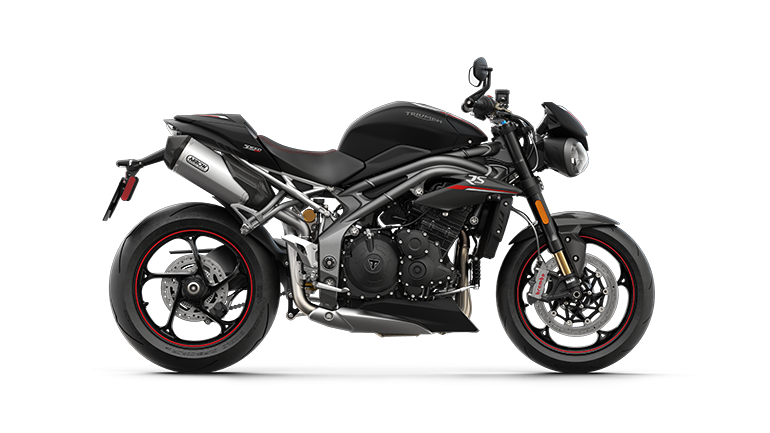 Linked to the ride-by-wire system, the three selectable mode options Road, Rain and Sport provide the rider with greater control and safety and - with the Sport mode - an even more immediate throttle response. 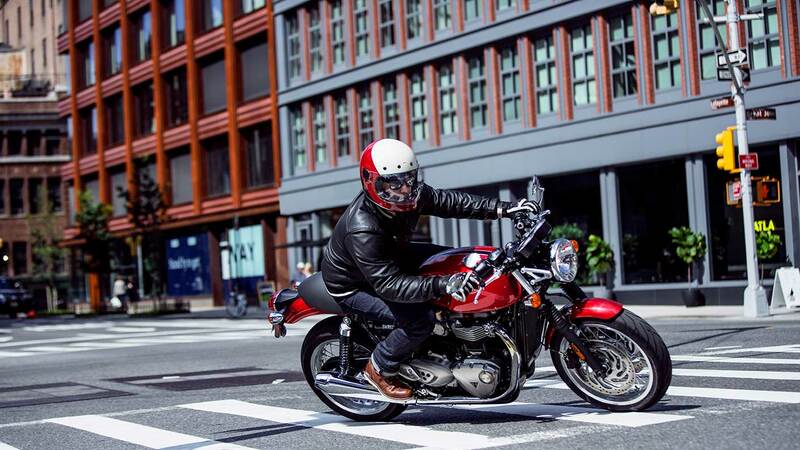 Taking advantage of the sophisticated ride-by-wire system, the Thruxton and Thruxton R both incorporate a switchable traction control system that optimises the delivery of its outstanding torque when traction is compromised. 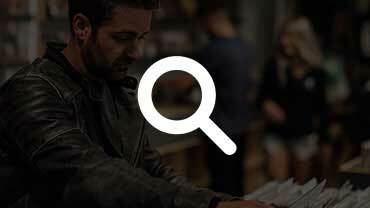 This can be switched off via the instrument menu. 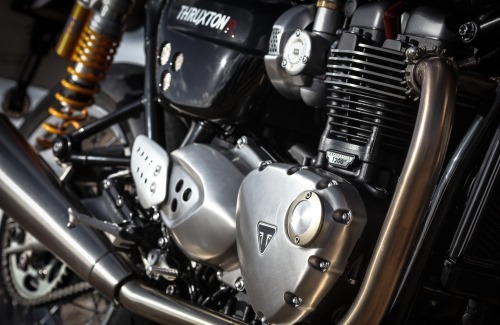 Bringing a light touch and feel to the clutch control of the Thruxton and Thruxton R, the torque assist clutch system makes the bikes easier to ride, and ride longer. 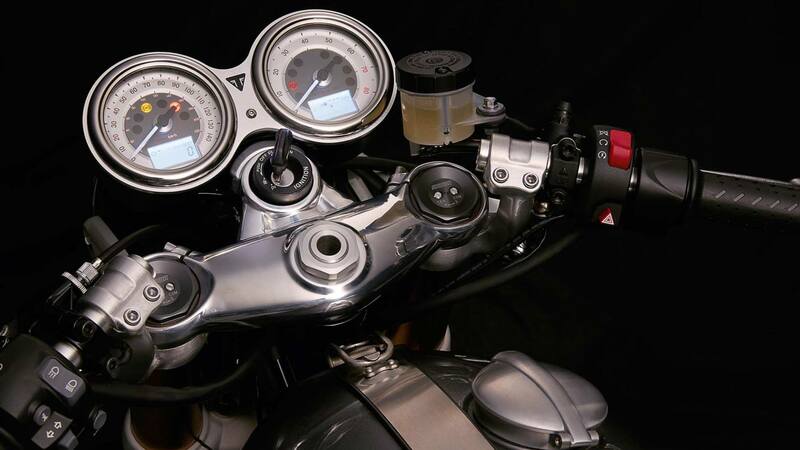 The Thruxton and Thruxton R switchgear presents a simple fingertip control scroll button for easy access to the key features on the digital clocks. 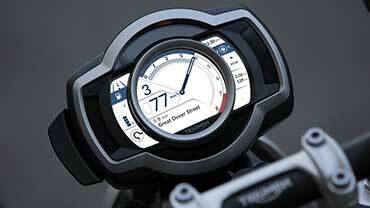 Stylish feature-packed twin clock (speedo and rev counter) with beautiful 3D dial faces that cleverly incorporate a digital menu system accessed by a handlebar-mounted scroll button. 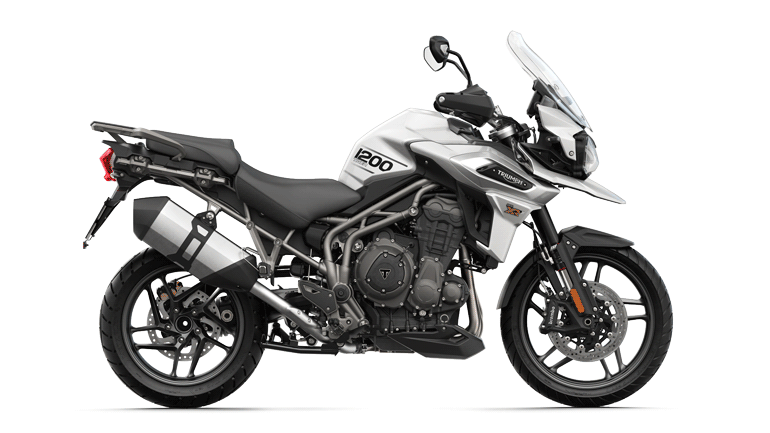 Key features include; riding mode setting, gear position indicator, odometer, two trip settings, service indicator, range to empty, fuel level, average and current MPG, clock, and access to turn off the traction control and ABS features. 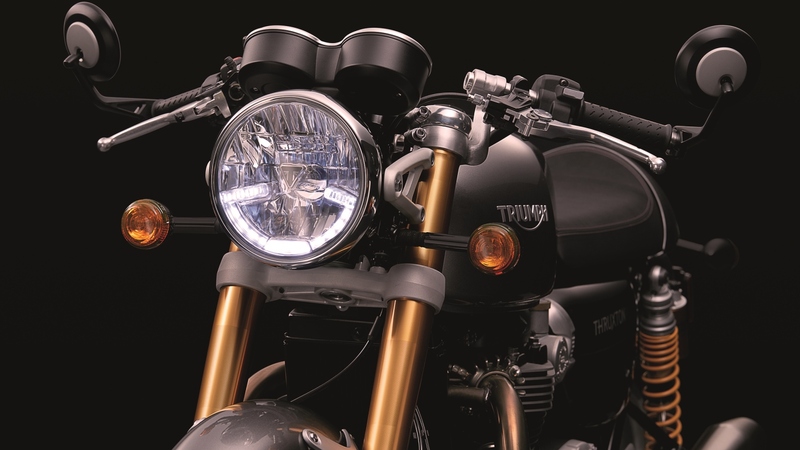 A new contemporary standard, the Thruxton and Thruxton R headlights incorporate the latest LED Daytime Running Light (DRL) delivering a distinctive signature light pattern and enhanced power efficiency for long term durability. 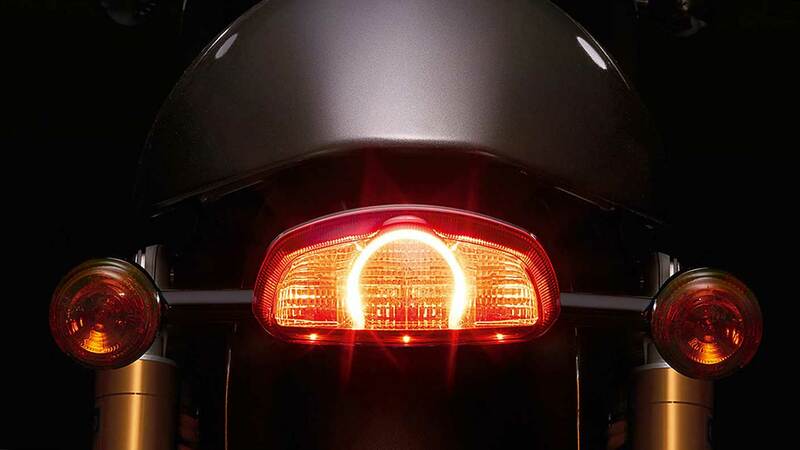 The LED rear light incorporated into the classically-inspired and stylish tail set-up, brings a distinctive rear light pattern and greater power efficiency. 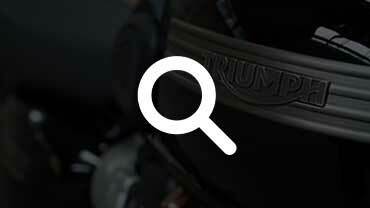 A security device that integrates a transponder into the Thruxton key, linked to a receiver in the ignition system, to prevent the engine from running if the correct key isn’t used. 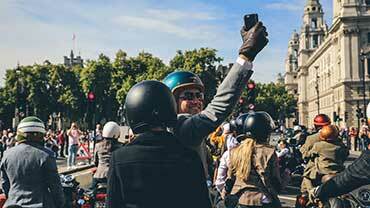 An under-seat USB socket is provided for charging essential devices, improving real world practicality.